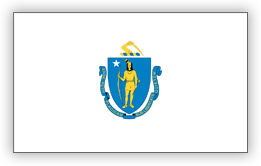 The Commonwealth of Massachusetts does more for its veterans than most other states in the nation. State benefits include public assistance for indigent veterans and tuition waivers at state colleges and universities. All Massachusetts citizens should be proud of the programs and benefits offered by the Massachusetts Department of Veterans Services because they give back to the men and women who sacrificed to serve our country. Francisco A. Ureña, Secretary of Veterans' Services was sworn in as Secretary of the Department of Veterans' Services by Governor Charlie Baker on February 6, 2015. Secretary Ureña's commitment to government service began the day after graduating high school when he enlisted in the United States Marines Corps. In the span of eight years of honorable service, his duties included Diplomatic Security with the Department of State at two American Embassies: American Embassy Damascus, Syria and American Embassy Bishkek, Kyrgyzstan. He is a Purple Heart recipient from injuries sustained during Operation Iraqi Freedom campaign. Ureña followed his enlistment with a degree in History and Legal Studies from the University of Massachusetts, Lowell. While pursuing his education, he involved himself in a series of volunteer work which ultimately led to his role as a Veterans' Services Officer in the City of Lawrence and later as Commissioner of Veterans' Services for the City of Boston. In 2008, Ureña was honored with "Veterans' Services Officer of the Year," awarded by former Veterans' Services Secretary, Thomas G. Kelley. Secretary Ureña is committed to helping veterans live with dignity, honor, and independence; and ensures that the department and its initiatives focus on those goals. Ronald L. Walker, II, Secretary of Labor and Workforce Development, oversees five labor and workforce development regulatory agencies: the Departments of Unemployment Assistance, Career Services, Labor Standards, Industrial Accidents, and Labor Relations. In addition, Secretary Walker manages Commonwealth Corporation-- the Secretariat's quasi- public state agency charged with administering work force training funds and the Joint Task Force on the Underground Economy and Employee Misclassification, which coordinates the efforts of multiple state agencies to eliminate fraudulent employment activities and level the playing field for all employers. Secretary Walker is responsible for directing and executing Governor Charlie Baker's agenda on workforce development and unemployment assistance, job creation, business services and labor. The Governor has appointed Secretary Walker to lead two initiatives that will advise him on meeting the needs of employers and targeted populations of unemployed residents. As chair of the Workforce Skills Cabinet, Secretary Walker will join his counterparts in Education and Economic Development in examining the state's workforce development system and aligning economic and educational resources to the labor needs of employers. Secretary Walker will also lead a task force that is charged with improving access to jobs and training by populations that experience chronic rates of high unemployment. Prior to his appointment to the Baker Cabinet, Secretary Walker was Managing Partner and President of Next Street, the merchant bank he co-founded to offer financial and business advisory services to underserved small businesses and entrepreneurs in urban areas. Secretary Walker brings to the Baker Administration extensive experience in retail and commercial banking where he served in several senior executive roles at Sovereign Bank, Fleet Financial Group and Bank of New England beginning in 1990. The Mattapan native holds a Bachelor's Degree in Marketing and Finance from Prairie View A&M University of Texas and completed the Finance for Senior Executive Program at Harvard Business School. Secretary Walker has served on a number of boards for non-profits including The BASE, the mentoring and access program for African-American and Latino student athletes and is an overseer for the Boston YMCA. He has received a number of recognitions for his business and community contributions-"CEO of the Year Social Leadership Award" from the Boston Business Journal, the 2013 Harry Dowd Community Service Award from Central Boston Elder Services, "Heroes in Health Care Award" from the Visiting Nurse Association of Boston and the Boston Chamber of Commerce's "Under 40 Leadership Award."